Prestashop, an open source, free eCommerce software with a light DB and quickly processes the large volumes of data. Strong built-in features that cover product management, multi-currency payments, multi language support and much more. ShareSoft Technology has developed many PrestaShop eCommerce websites for its clients all over the world. We offer a wide range of PrestaShop development services that includes designing and developing website templates, customizing your existing PrestaShop template, migration and consulting services. Enhance your online business by building your PrestaShop eCommerce store with us. 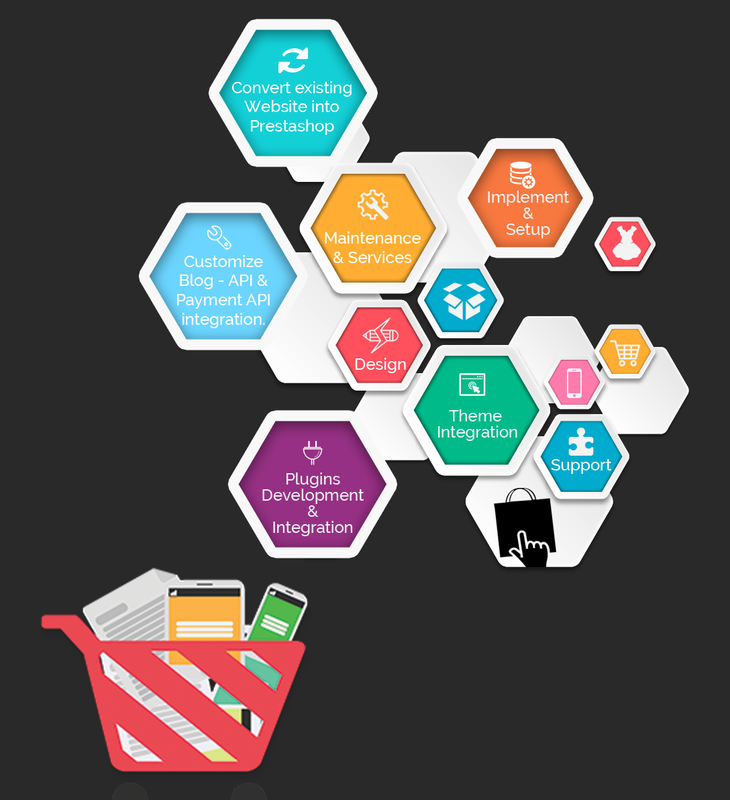 Our expert developers will get the best out of PrestaShop features, thereby getting you a powerful, appealing and ROI driven shopping cart system. Contact us to know more about our services and get your quality and cost efficient eCommerce store!